Banaban Virgin Coconut Oil Hair Shampoo is a formulation of premium virgin coconut oil and coconut derived extracts. 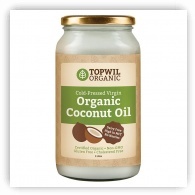 Reduces the protein loss of both undamaged and damaged hair. Fiji grown and harvested pure Virgin Coconut Oil and other natural remedies based on thousands of years of Pacific Island tradition. Direct from our tropical Organic Certified plantations in Fiji. 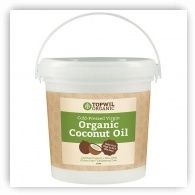 The cold press Banaban Extra Virgin Coconut Oil® is extracted from fresh coconut flesh and is not copra derived. Banaban Extra Virgin Coconut Oil® is not refined, deodorized, or bleached. It has a rich natural coconut taste and aroma. It is cholesterol-free and contains medium-chain good fats with 50% Lauric Acid - a healthy nutrient that supports the metabolism. 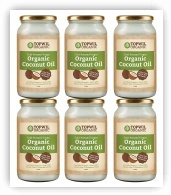 Coconut oil has been used by Pacific Islanders for centuries as a major part of their diet and for everyday usage. It has long been considered as 'The Tree of Life! Ingredients: Purified water, sodium cocoyl sarcosinate, coco glucoside, virgin coconut oil, cocamidopropyl, betaine, hydroxypropyl cellulose, citric acid, disodium EDTA, glycol sterate, Methylchloroisothiazolinone, Methylisothiazolinone.